Ask The Nutrition Tactician: How Can I Make IIFYM As Healthy As Possible? An "if it fits your macros" nutrition plan may be the answer to your flexible-dieting dreams, but only if you do it right. Here's everything you need to know! IIFYM stands for "if it fits your macros," also known as flexible dieting. Rather than focusing solely on calories or food types, your major goal is to consume certain amounts of the three macronutrients of protein, fats, and carbohydrates. Pros: Nothing is off limits, so you don't have to deprive yourself. Cons: You can "meet your macros" by eating mostly unhealthy foods. Before you ask the question, I'll just answer it. 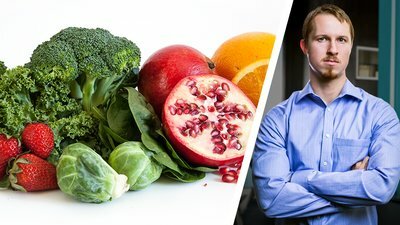 Yes, I think "if it fits your macros" (IIFYM), also known as flexible dieting, can be an absolutely legitimate approach to sustainable nutrition. However, the way many people practice IIFYM could definitely be better. The biggest problem I see with IIFYM is that too many followers favor a numbers-only approach. In other words, you can eat any food source as long as you're reaching the correct number of carbs, fats, and protein. Although this works in theory, it often means numbers win over health and food quality. Think of it this way: An ounce of gummy bears and 100 grams of brown rice will both provide you with 25 grams of carbs. However, the insulin response, impact on satiety, and your subsequent energy level will be vastly different between the two. You may "hit your macros" with both, but the bears are far from the most effective way to lose weight and maintain overall health. I get it: Freedom is a good thing. But freedom with some well-conceived rules to guide you away from disaster is better! Make these three changes to your IIFYM plan, and you won't regret it. In the IIFYM numbers-only sphere, the type of protein matters less than the particular number of grams. For example, some IIFYMers count the 8 grams of protein they get in a couple tablespoons of peanut butter toward the 20-30 grams they're trying to eat in a meal. Some proteins are complete—meaning they contain all nine essential amino acids. Peanut butter doesn't. This doesn't mean peanut butter is bad. It's just not a protein—at least in my version of IIFYM. I say treat protein like the deity it is. Take in high-quality sources of protein, and disregard the trace grams of incomplete protein from fat and carbohydrate sources. Focus on getting 20-30 grams of quality protein each meal to ensure you're maximizing your muscle-building potential. Micronutrients such as vitamins and minerals often fly under the radar when following an IIFYM approach. Rather than having a serving or two of veggies at most meals, some people go without them in favor of having a couple Oreos or a Pop-Tart later. "Can't waste my carbs on veggies, bro!" This is perhaps the best example of how numbers can overtake the importance of health. The essential micros found in fruits and vegetables tackle numerous vital functions that allow you to train hard and recover quickly. Make no mistake: You need them. You just want the other stuff. And that should count for something! Eat a handful-sized serving of vegetables at least three times per day, and don't count it against your carb totals. Eat a handful-sized serving of vegetables at least three times per day, and don't count it against your carb totals. Sorry brotato, but the starchy spud, as well as peas and corn, should still be viewed as carbohydrates. Veggies such as kale and other greens, broccoli, cauliflower, and carrots, however, can be eaten as vegetables. To be clear, this is not an excuse for AMVAP (as many vegetables as possible) at each meal—although there are definitely far worse mistakes you could make! If you choose to have more than one serving of vegetables at a meal, then count the carbohydrates from the subsequent servings. For example, if you have three cups of spaghetti squash instead of one, then count carbohydrates from the second and third cup. Counting big vegetable portions will help you keep your calories in check. A day rich in cheap cookies and other sugary treats that gets you within two grams of your macro goal can feel like a victory, especially if you're losing weight. But trust me: Years of low-fiber, high-sugar eating is going to catch up with you. Your physique might look OK, but your insides may not fare as well. Fiber-rich sources of food include fruits, vegetables, and whole-grain carbohydrates like oats and brown rice. Including high-fiber foods in your diet means you're also including nutrient-dense foods that will help ensure you're eating enough micronutrients. I firmly believe in the power of flexible dieting. I think it can help people lose weight and can help people develop a healthier relationship with food. However, rather than following the traditional, numbers-only approach, I suggest making the above changes. A renewed focus on protein, vegetables, and fiber will help you establish a sustainable, health-based approach to weight-loss nutrition. Drummond, M. J., & Rasmussen, B. B. (2008). Leucine-enriched nutrients and the regulation of mammalian target of rapamycin signalling and human skeletal muscle protein synthesis. Current Opinion in Clinical Nutrition & Metabolic Care, 11(3), 222-226. Norton, L.E., Layman, D.K., Bunpo, P., Anthony, T.G., Brana, D.V. & Garlick, P.J. (2009). The leucine content of a complete meal directs peak activation but not duration of skeletal muscle protein synthesis and Mammalian target of rapamycin signaling in rats. Journal of Nutrition, 139(6), 1103-1109. Trumbo, P., Schlicker, S., Yates, A. A., & Poos, M. (2002). Dietary reference intakes for energy, carbohydrate, fiber, fat, fatty acids, cholesterol, protein and amino acids. Journal of the American Dietetic Association, 102(11), 1621-1630.